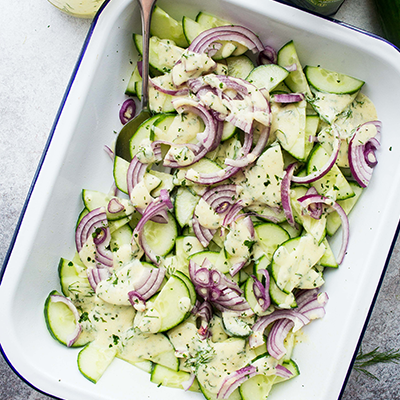 Combine sliced cucumbers and onions in a salad bowl; set aside. Combine yogurt, extra virgin olive oil, lemon juice, mustard, garlic, dill, parsley, salt and pepper in a jar fit with a lid; close the jar and shake it until everything is thoroughly combined. Check for consistency and add more olive oil to thin it out; add more yogurt to thicken it. 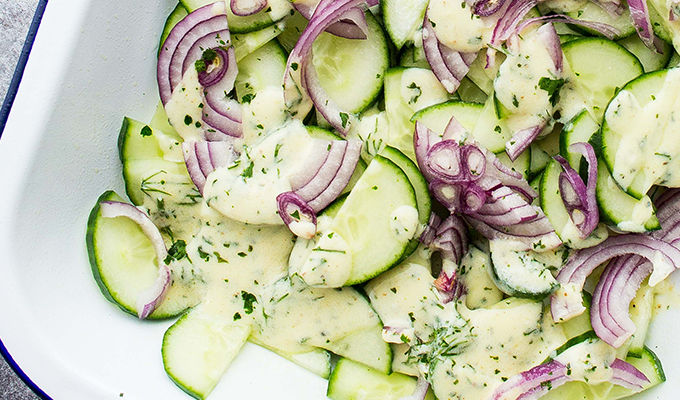 Drizzle salad dressing over cucumbers and onions; toss to coat.